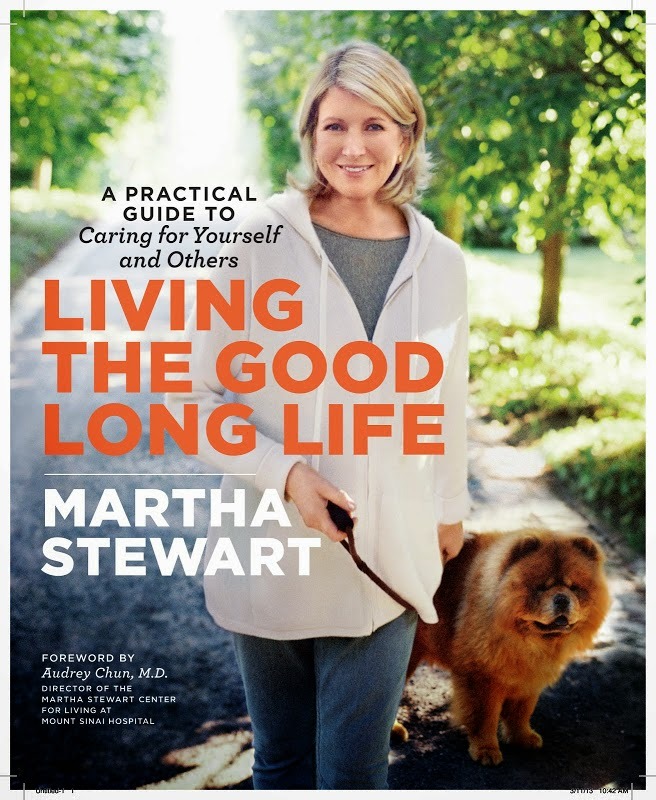 MARTHA MOMENTS: Living the Good Long Life: Out Today! Living the Good Long Life: Out Today! Martha's 77th book (yes, 77th!) is released today. Living the Good Long Life is Martha's latest book of instruction and is her first on the subject of aging well. The book focuses on healthy eating, fitness, maintaining a healthy brain and a positive outlook to help enrich your life as you age. There are also practical tips for caring for aging relatives and how to look after yourself while ensuring your loved ones are given the care they need and deserve. The advice is backed up by statistics and suggestions provided by several of Martha's closest medical advisors. Be sure to order your copy or stop by your local book store to pick one up in person! There is also a Kindle edition available. Click here to read more about the book. Martha will be doing a book signing on May 17th at Macy's Herald Square in New York City and will be appearing on the Dr. Oz Show on May 23rd to discuss the book. Do you know if Martha is doing any tv appearances for this book? Definitely want to get it because of my mom. She is nearing retirement. And it never hurts to do some advance planning for myself, even though it's years away. Marc, I know she will be appearing on the Dr. Oz show on May 23rd to promote the book. She will also be doing a book signing at Macy's Herald Square in NYC on the 17th. I can't wait to go through this book! What time is the signing and will there be copies there? There is no listing or time given at macys.com/events but keep checking that URL for updates or call the store (Macy's Herald Square)to find out. Martha's Calendar in the May issue of the magazine mentions the book signing without times. This Tuesday April 30th, The Today Show on NBC is airing a pre-taped interview with Martha & Matt Lauer at Martha's farm. You might recall she tweeted about a special shoot going on at the farm a week or so ago. Check the Today Show website later in the day on the 30th for the interview. Looks like it will be good! Do you have any information on other places Martha may be doing a signing? I'm sure Martha will post any future book signings on her blog.